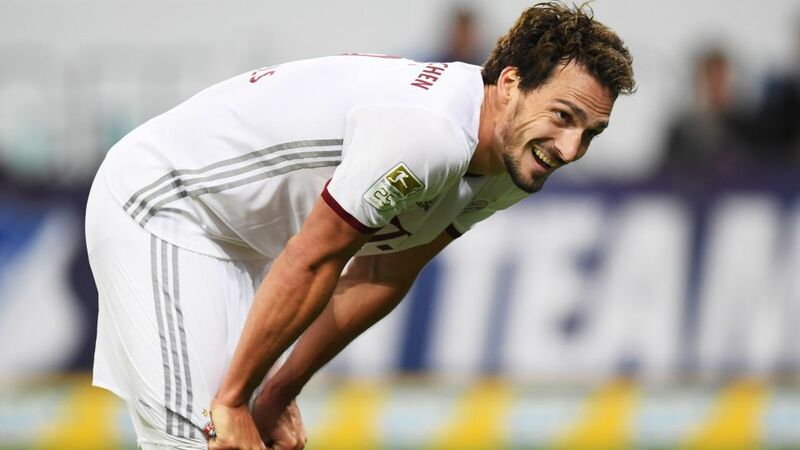 Bayern Munich defender Mats Hummels is set to miss Wednesday’s UEFA Champions League quarter-final first leg against Real Madrid with an ankle injury. The Germany international centre-back had to leave Bayern training early on Sunday. The extent of the injury is not yet known, and the 28-year-old has been ruled out at least the next two matches. Hummels came off the bench in the 4-1 Klassiker victory over former club Borussia Dortmund on Saturday, but it is now expected that Javi Martinez will partner Jerome Boateng, who himself has just returned from a long injury lay-off, against Madrid in Munich.